The sculptural installation by Richard Wilson titled Hang On A Minute Lads, I’ve Got a Great Idea showcases a full-sized replica of a old-fashioned twin-axel Harrington Legionnaire coach that looks as if it is teetering precariously on the edge threatening to fall off The Peninsula’s seventh-floor. 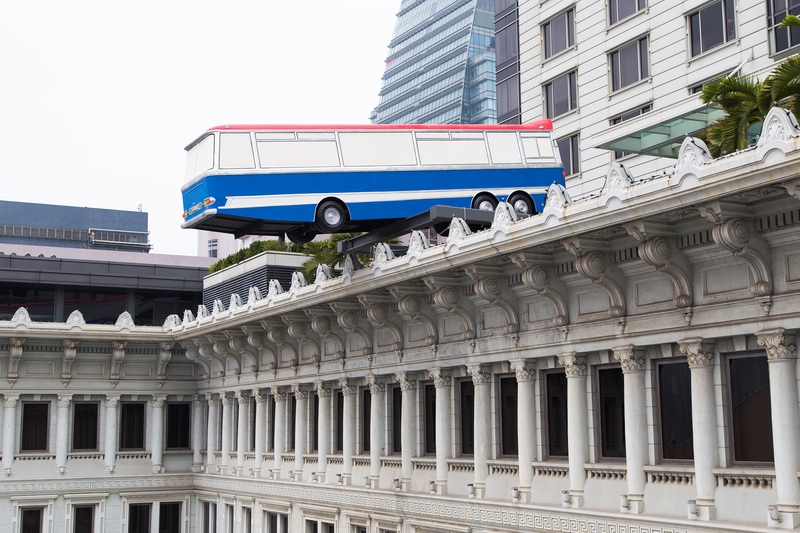 The sculpture was inspired by classic 1969 British heist movie ‘The Italian Job’. 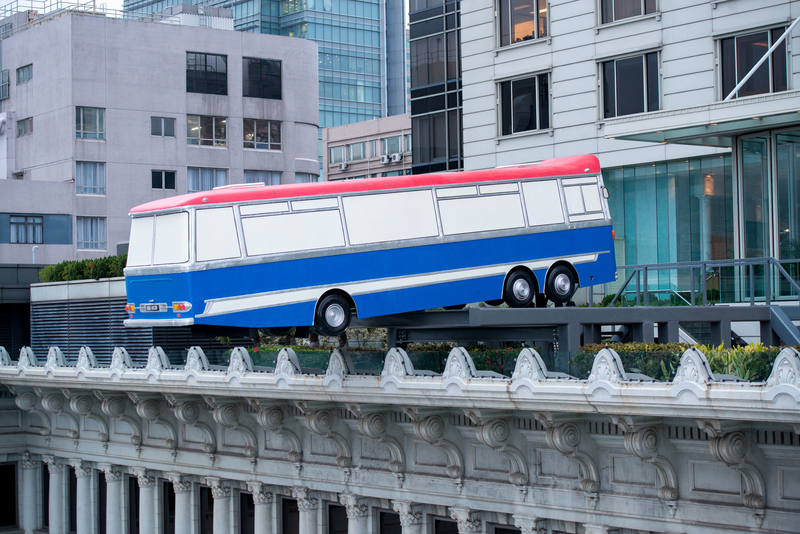 The dynamic sculpture weighs six tons at its core, and uses hydraulic equipment that is makes the coach rock by up to 12 degrees at random periods, making it seem that the coach could very well plunge of the ledge to the ground at any moment from. 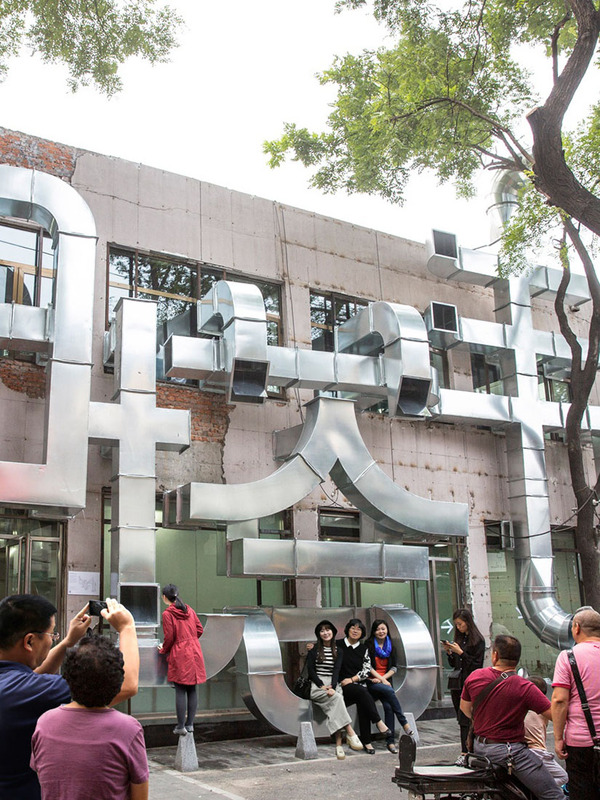 The installation draws onlookers’ attention to the hotel’s distinctive architecture, serving to highlight and accent the building in different and unanticipated ways. Seeing the piece causes onlookers a surge of adrenaline- and rightfully so, seeing such a large vehicle perched “insecurely” (no fear, it is secure) and seemingly unsteadily should bring everyone a hint of that natural fight or flight reaction. Once the shock associated with the spectacle subsides you can embrace the creativity, the unique building designer, and the contrast between the coach and the hotel in what is undoubtedly awe. 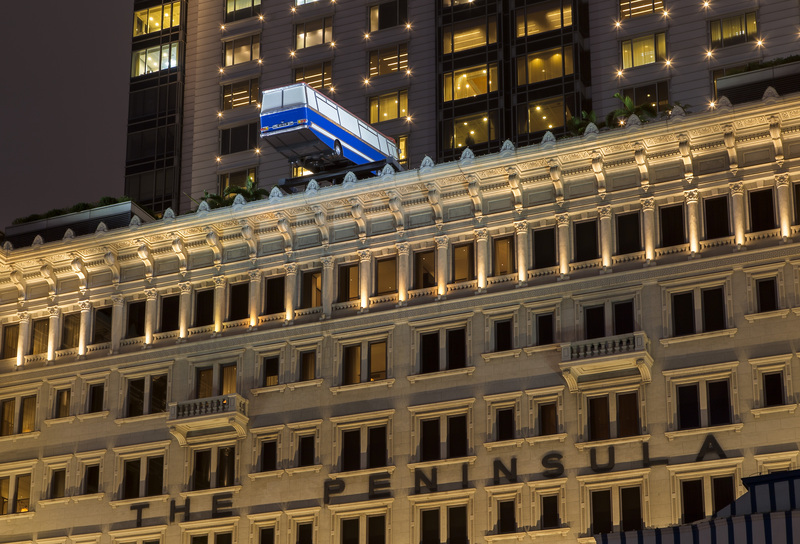 This project was a collaboration between Richard Wilson, The Royal Academy and the Peninsula Hotel, Hong Kong. The Peninsula Hong Kong is a historic and well-known hotel. 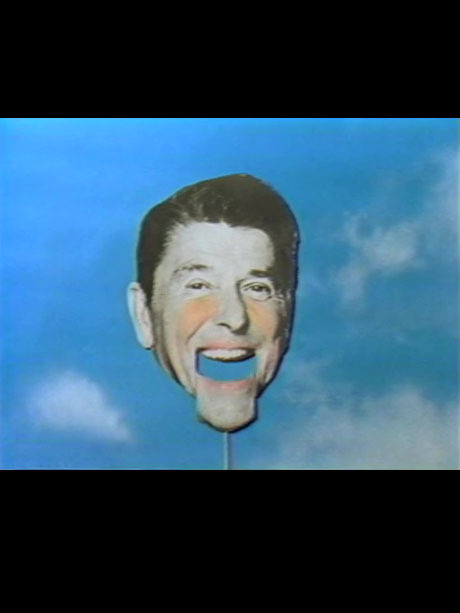 The Royal Academy is an artist-led organization, with an emphasized focus on presenting British artists and architects abroad. 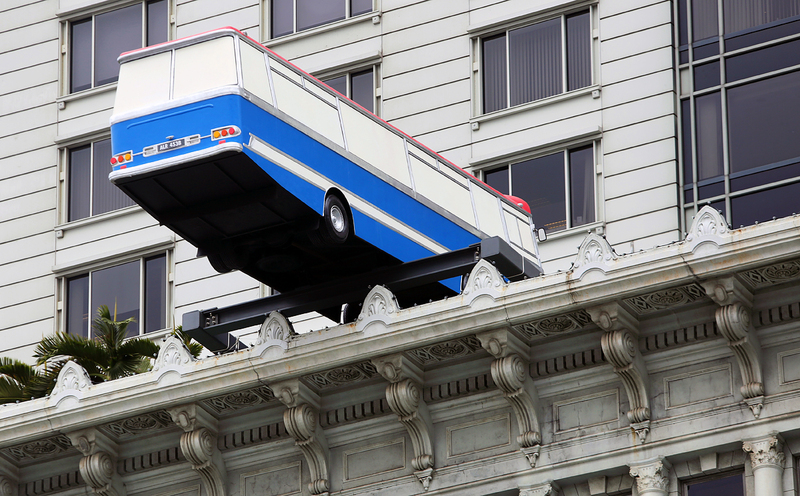 Richard Wilson, born 1953, is one of Britain’s most renowned sculptors. 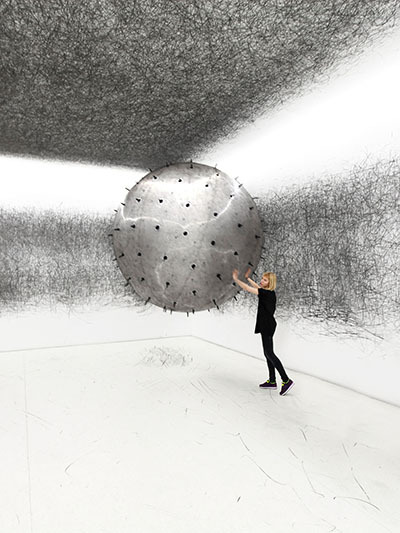 He is internationally celebrated for his interventions in architectural space, which draw heavily for their inspiration from the worlds of engineering and construction. 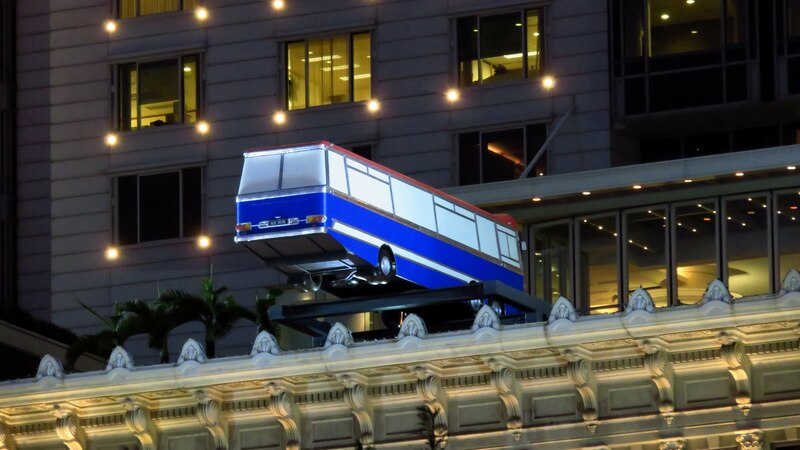 Posted on December 18, 2015	in the category Installation and tagged 2015, Architecture, Art in Asia and by Asian artists, Art in Hong Kong, Peninsula Hotel Hong Kong, public art, Richard Wilson, sculpture.